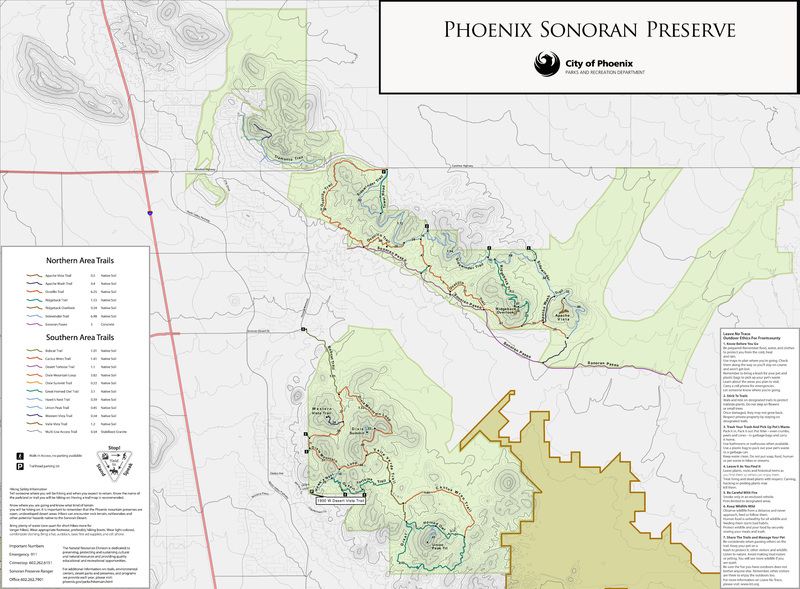 The Sonoran Preserve North has seen some trail development on the eastern side lately with the Apache Wash Loop, Badger Brawl, Esplanade and Cliff Walk Trails. Several connector trails provide multiple options for loops and better access. This description is for the northern most of the two connectors. 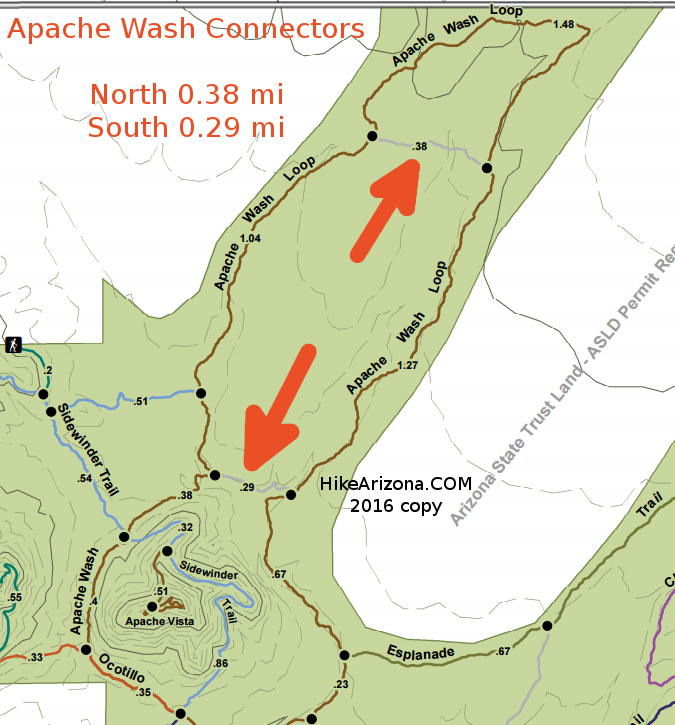 The Apache Wash Loop follows the Apache Wash NE from the Apache Wash Trailhead. 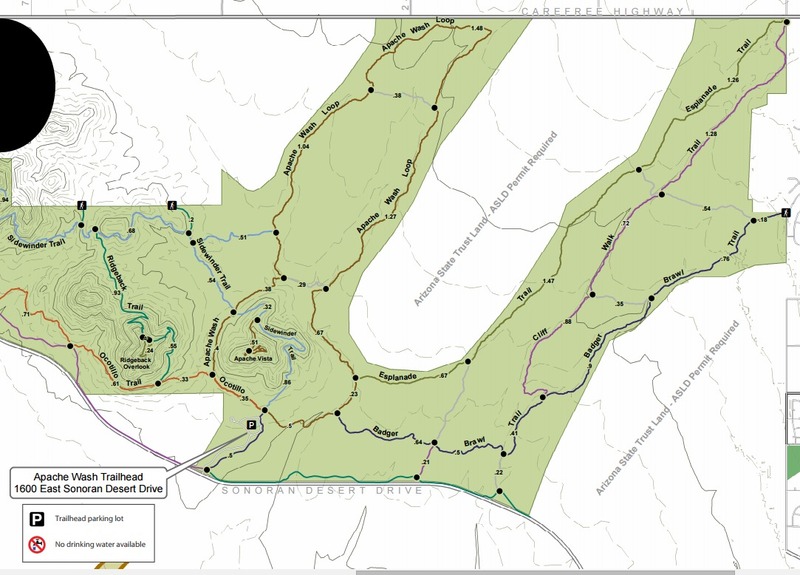 The northern connector is 2.5 miles from the trailhead on the western arm of the Apache Wash Loop and reconnects with the eastern leg of the Loop approximately 2.7 miles from the trailhead. This short trail is fairly flat. After crossing a small wash, it reconnects with the western arm of the Loop. 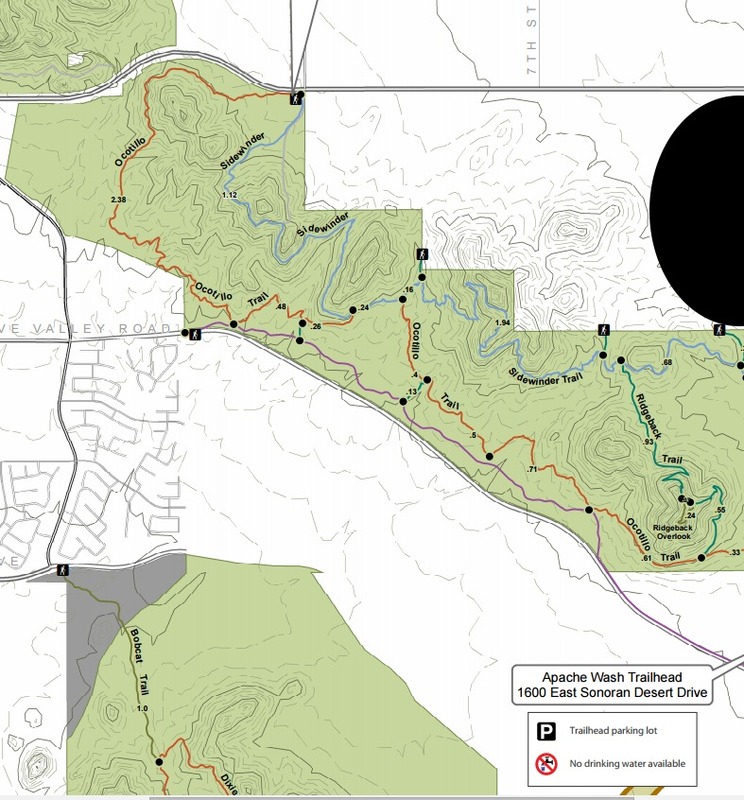 Besides being useful to shorten the Apache Wash Loop, this connector and the other connector trails provide a means of customizing your hike or bike in the Sonoran Preserve.